Now published by Penlan Publishing, price £10 (go to www.penlanpublishing.com to buy using PayPal, or available from Amazon). 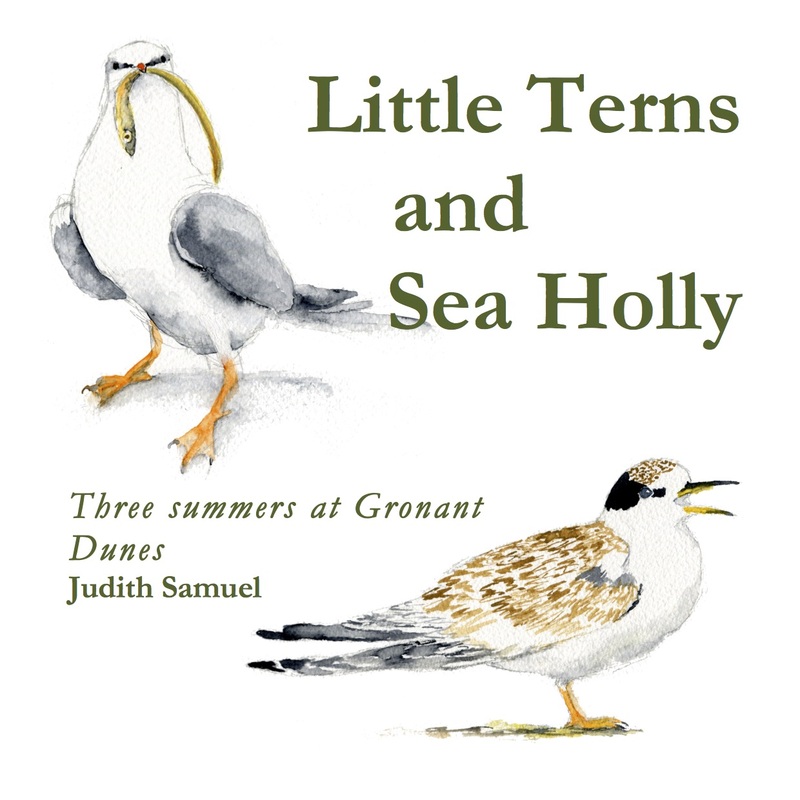 The author spent three summers visiting Gronant Dunes, Denbighshire, the only nesting site in Wales of these protected birds and kept a diary of her time there, as well as sketching them. The birds are tiny, beautiful, fascinating, annoying, sometimes aggressive (when their nests or young are threatened) out of all proportion to their size. They come for a packed three months, during which they mate, nest, hatch young, then train these young the rudiments of flying and fishing before they set off again for their over-wintering grounds in West Africa. The author was so interested in their story that she followed them there, and a section of the book describes their life under warmer skies, and the other creatures they share it with. The book includes many watercolour illustrations.